#Mobile instructional #design is getting a push, join in! In February 2013, the Advanced Distributed Learning(ADL) Initiative will be conducting a thorough needs analysis in preparation for a new design-based research project named, the Mobile Training Implementation Framework (MoTIF). The focus of the project is on exploring the intersection of multiple design and research methods in order better understand, and potentially influence how education and training professionals determine how to best utilize and leverage mobile-based technology to develop and implement optimal training and performance support solutions. The framework proposed in the whitepaper was intentionally conveyed at a conceptual level. It was not optimized for instructional designers and content developers. Its purpose was to serve as a conceptual vehicle to direct designers to also focus on improving performance and augmenting skills, not just on knowledge transfer. An innovative and comprehensive research approach (we have chosen the Integrative Learning Design Framework (ILDF), is needed to validate and expand upon the scope and detail of the framework proposed in the whitepaper leading to practical understanding and application to real-world design projects. ● Learning content developers are creating new mobile content and converting existing elearning courses to a mobile format by simply repurposing and resizing them to account for the smaller screen and interface differences, without any consideration for the aspects of learning, pedagogy, performance support, and user experience design. ● Mobile learning best practices have not been identified within the overall context of following an ID model or learning theory. Learning content developers are not sure how to design for the different attentional, motivational, contextual, pedagogical, and social/communication aspects of the mobile platform. So the goal of MoTIF is to support education and training professionals transitioning from eLearning to mLearning by providing a framework and catalog of microstrategy examples for thinking more deeply about their systematic design processes and mobile-specific affordances (e.g. using GPS for location-based and contextual learning, using the camera for augmented reality, etc). The target audiences for this needs analysis are instructors, instructional designers, learning content developers, training professionals, and human performance improvement experts with an interest in implementing mobile learning solutions. 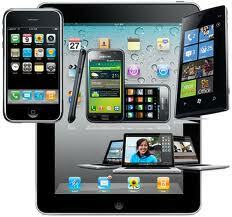 The target audience is not required to have any prior experience with mobile development. However, the target audience should at least own one mobile device, and have an understanding of using mobile applications for learning. As I am following (read this as occasionally reading and even more infrequently reacting) in OldsMOOC (the free open online course on learning design), I got hold of LucidChart. A wonderful way of working with a team on both mindmaps, flowchart or organizational charts. What struck me was the ease of use to start with it and the really quick way to get everyone involved in a team effort. There are ample tutorials and I could easily register with my Google account so with one click I was on it. Nice stuff. I have added it to my working tools. For anyone wanting to pick up with OldsMOOC, feel free to join and simply relax while getting on top of the material (one word of warning, if you do not have a lot of time, relax, do not go through all the threads simply look at the new one's that catch your interest). Great news! 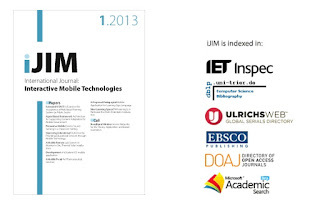 There is a new free edition of the International Journal of Interactive Mobile Technologies (iJIM). 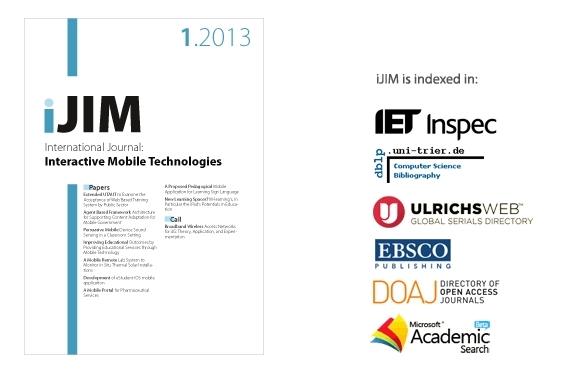 iJIM has just published its latest issue at --> http://www.i-jim.org. In order to view the papers and articles, you only need to register (which is for free) and once you are registered you can access any article you want. Great news for all of us Moodle users. 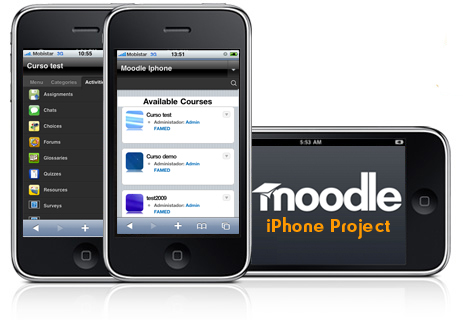 Carlos Kiyan and many other contributors have released their plugins for mobile Moodle to the plugins repository. These two plugins started as one of the earliest Mobile Moodle projects (back in 2010: Moodle4iPhone). The two new themes can be downloaded and applied to your Moodle site (they support Moodle 2.4 and tablet or smartphones compatible with iPad and Android tablets or iPhone/iPodtouch/Android 4.x devices. This release follows a beta testing round that was announced in November 2012. 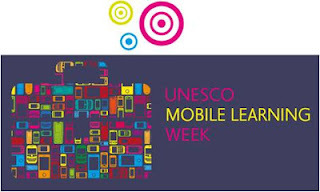 From 18 - 22 February 2013 the second UNESCO mobile learning week is taking place at the UNESCO European headquarters in Paris, France. It will be a great moment to get together and exchange ideas on the future of education, or at least on how we can change education to reach more people around the world. I will be there with a presentation on how to set up mobile MOOCs, which is of interest for developing regions. There is a busload of interesting speakers gathering for the peer sessions and two wonderfully inspiring keynote speakers, so worth checking out if you are in the neighborhood. The nice thing is that you can also join from your living room or office for some of the online webinars (great, saves time and money!). More information on the sessions and speakers can be found here. This two-day conference constitutes the backbone of the MLW and will feature keynote speakers, demonstrations of mobile content and technology, and thematic breakout sessions. UNESCO, in partnership with the GSMA, will host an invitation-only meeting of high-level government officials to discuss issues relating to mobile learning and policy. 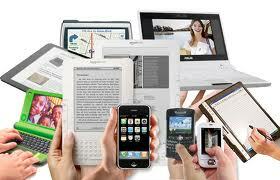 The Webinar will allow people outside Paris to discuss topics related to mobile learning. It will be moderated by leading thinkers in the field of ICT in education. Selected mobile experts will present their projects and will field real time questions from online participants. If interested you can download the full proceedings here (pdf) or you can simply scan the titles and pick those you are interested in. I will only list the full papers here, but there are also a number of posters, short papers, showcases and doctoral interests giving an update on research in the making which you can view online here. In the last years my focus was moving more towards mobile content then mobile design. 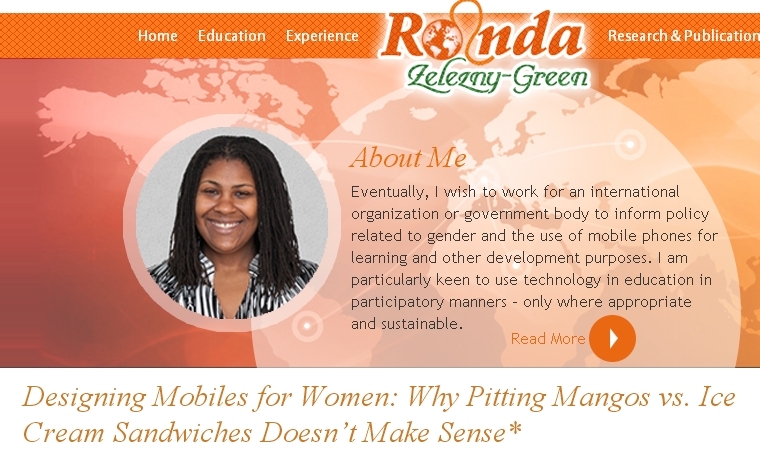 But indeed as Ronda Zelezny-Green mentioned in her blogpost, the user design can make the difference in getting people, and specifically women increasingly into mobile use for learning. The technology has some affordances that can be improved for specific populations, addressing specific issues. In the case of Ronda, she points towards the Jokko initiative, tackling literacy. But indeed, there are other groups that might benefit from simplified, design specific mobile phones. Whether this specialized mobile design would be tackled on the operating system level, or based on a set of mobile apps that rearrange the actual design of the phone needs to be studied by experts in those areas. Nevertheless, I am all in favor of being able to tweak a phone in such a way that specific learner groups can be addressed in an improved way. There might be a mobile market for more of these user-focused design initiatives: people who are impaired (adapted to impairment), people with specific chronic diseases (immediate health relevance based on sensors available, log book options), sports people (more stats and evolution's , geeks (transparent tech details of any kind)... But of course this type of design can only work if it is build in participation with the user group it wants to target, which inevitably takes more time because more iterations are necessary but still, it looks like a market to me. With this new calendar year dawning, I am set to get my first eBook out there in the open. 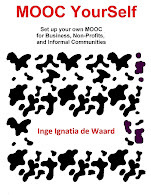 At this point I think it will be a low cost book, one that will ask possible readers to pay 2,99 dollars for a 50 page book on how to set up your own training based on the MOOC-format for non-profits and business purposes and why such a format can add to corporate and non-profit training. 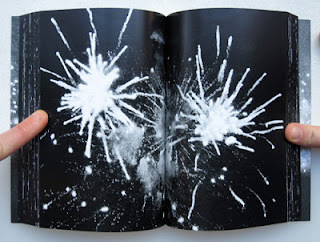 Before deciding to go for a specific low cost format, I was exploring the horizon of contemporary publication options. There are is quite a bit of chaos out there with all these new options: self-publishing, publishing a paper book versus an eBook, heavy prizing versus free books, academic or not... And then I read this small comment, coming from Dominik Lukes (@techczech) adding to a discussion on the upcoming xED book "a book about education stuff, moocs, etc" as it is described by its authors. In his comment Dominik raises a torch for free, academic publishing and in doing so he lists a few examples Cory Doctorow and Tor books, Martin Weller and Bloomsbury Academic (see a bit further down, for it is indeed a great free book). the real coup would be to start your own open academic press and get lots of leading scholars publish through it. Maybe run a Kickstarter campaign for each new book. But that’s just me dreaming. And to be honest ... that is the thing that struck a cord. Maybe not necessarily the academic part, for I believe all spheres should join forces at times (non-profit, corporate, academic) when it comes to publishing. Furthermore I feel it is time to focus and not knit when a book is published. Like a chapter approach rather then a lengthy non-fictional approach. 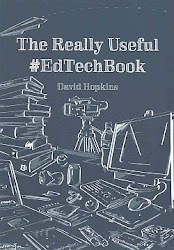 I can understand that authors want to add everything in a book, but ... it is simply becoming impossible if you look at the vast knowledge added to each field of expertise. So writing on the changes that affect Higher Education might give rise to a thick book, but ... I would prefer short manifests, each touching a specific area. That each manifest would link to others for those interested in reading more: yes, but not that I had to buy a lot of text where I would only be interested in a part of it. So... why not set up an academic, or broader publishing company enabling authors to publish thin, yet very focused works for reasonable or free prices? I would love to see that. Because to be honest, the biggest fear and doubt I have is how to get my book known to a broader public. 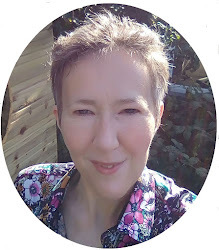 I mean, it is all good and well to write one and to decide to go for a low cost approach, but ... getting readers is the main aim, for like that discussions can take place and any possible ideas can be strengthened, changed or added. On the other hand, some publishers really have great initiatives already, like this book by Martin Weller on the Digital Scholar (loving it!) published for free by Bloomsbury Academic.